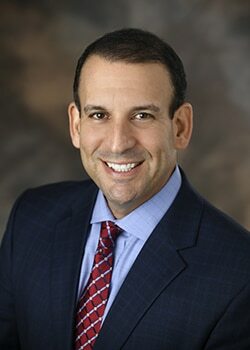 Jon B. Mendelsohn is co-founder and Chief Executive Officer of Ashar Group, LLC, a nationally licensed firm specializing in the Secondary and Tertiary markets. He has championed industry driven strategies to encourage innovation across the company’s businesses channels. Under his leadership, the Ashar team maintains their focus to provide an exceptional client experience. Deliberate decision-making has resulted in establishing national partnerships, collaboration, and the integration of Secondary Market solutions that deliver true value to Ashar's partners and clients. "The results we deliver go well beyond a liquidity event. We provide peace of mind and control, so families and businesses can focus on what matters most to them, choices and the ability to make their own decisions." Jon’s strategic vision to maximize Ashar’s position in the market focuses on three fundamental aspects: capturing the experiences of the advisors and clients we serve and learning from them, providing the most accurate and unbiased information for all parties to make informed decisions, and fostering innovation while expanding into new markets around the world. Since launching Ashar Group in 2003, Jon has been an influential member of the industry, serving as an advocate for best practices and transparency. He has worked tirelessly to collaborate with members of the insurance and financial services, legal, and trust communities. Jon obtained years of hands-on experience in all facets of the Secondary Market and valuation process by working closely with estate and business planning firms. Over the past decade, he has developed unique and proprietary processes that save advisors valuable time and manage client expectations in a responsible manner. Mr. Mendelsohn earned two bachelors and a master's degree from the University of Florida. He participated in the Strategic Coach program for 6 years to continue to develop both professionally and personally. He is proud to serve as a member of Forum 400, a past board member of industry associations, the Customer Advisory Board for 21st Services Underwriting, and a proud supporter of the company cause, The Crohn’s and Colitis Foundation of America. He and his family reside in Orlando, Florida. William J. Clark serves as Director of Communications & Training for Ashar Group, LLC. Bill’s responsibilities include developing new market channels and assisting existing strategic partners in integrating Secondary Market solutions seamlessly into their core processes. Over the past 10 years at Ashar, Bill has worked successfully with both independent advisors and national organizations, demonstrating an experienced track record of positive results that can be relied upon. "I'm proud to work closely with our strategic partners to grow their business and bring relevant solutions to their clients." Prior to joining the Ashar team, Bill served as an executive with State Farm for 18 years, leading organizations in both the Midwest and Northeast regions. Through those experiences, he earned the trust and admiration of his peers, designing innovative programs to grow the businesses of the 450 agents that reported to him. Bill has a deep understanding of how to work with entrepreneurs, corporate executives, and the need to run an efficient back-office. Bill seeks out hard driving, client centric, entrepreneurial planners that recognize the wisdom in partnering with other professional experts. Before joining the insurance and financial services industry, Bill was a talented school principal, successfully leading; managing his team, and developing programs to positively impact the families and teachers he served. With a strong background in education and insurance operations, Bill is Ashar’s leader for delivering actionable training to new and experienced financial advisors and advisory firms through on-site training and webinars. 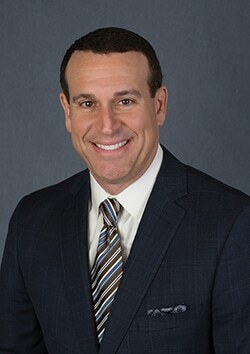 Jason T. Mendelsohn is co-founder and President of Ashar Group, LLC, a nationally licensed firm specializing in the secondary market sector for estate and business-planning professionals. He works closely with executive management at insurance carriers, financial advisory firms, banks and trust companies, as well as legal and tax planning organizations. Prior to Ashar Group, Jason spent 20 years working within the bank consulting and healthcare industries. He developed relationships with CEO, CFO & CIOs of community & de novo banks nationally, establishing engagements for strategic planning, profitability enhancement, efficiency, risk management, and security services. This enabled banking clients to advance their organizations in the face of an ever-changing landscape. Through his experience educating banking executives and designing specific goals and objectives, Jason brings a unique set of skills to the Secondary Market. Jason presides over one of the most tenured teams, having a combined 80 years of experience in the secondary market. His daily objective is to ensure Ashar’s clients receive the quality of service they expect from the industry leader. He is a front-lines expert on trends, industry dynamics and the operational and technical details of the Secondary Market. Jason is regularly invited to be a speaker and lead discussions at national and regional events pertaining to the Secondary Market. "Building a strong back-office team to support the needs of the advisors we serve is the backbone of Ashar." Mr. Mendelsohn is proud to serve as a member of the AALU (Association for Advanced Life Underwriting) and is active in the industry as an advocate for senior care. Like his brother, Mr. Mendelsohn also supports The Crohn’s and Colitis Foundation of America due to their younger twin sisters’ battle over the last 15 years. He attended Emory University, earned his Bachelor's Degree in Spanish and spent summers abroad in Mexico, Spain and Israel. He and his family reside in Orlando, Florida. 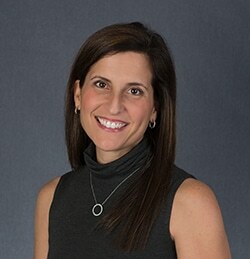 Jamie L. Mendelsohn serves as Executive Vice President for Ashar Group, LLC. She partners with the nation’s leading wealth management firms, attorneys, CPAs, trust, and financial planning advisors in the Secondary Market. Jamie’s national network and advanced sales experiences has led Ashar to many key accounts. With a proven ability to successfully analyze an organization's business needs, she helps Ashar's business partners grow their Secondary Market solutions in an efficient manner. For upwards of a decade, she has worked closely with independent and professional advisors, regional broker dealers and brokerage general agencies, as well as Financial Institutions with a national footprint. She has spoken at numerous financial services conferences and provides continuing education for both financial advisors and professionals nationwide. Her capacity to handle the most complex cases, and her relentless pursuit of excellence representing the interests of advisors and their clients, places her in the top echelon of market professionals. "I'm bullish on the future. With one-third of the population moving into this demographic, the opportunities to serve are limitless. " Prior to joining Ashar Group, Jamie was President of a healthcare staffing company that served small to medium businesses, as well as national corporations. She thrived in the highly competitive staffing industry that demanded a fast-paced environment. Jamie’s responsibilities also included the operational and management components of the business. She led a team of 20 professionals by establishing their performance metrics, sales and activity goals, and facilitated contract negotiations. Her contributions were integral in growing the business from a start up organization in 2001 to a $15M organization by 2006. Jamie earned her bachelor’s and master’s degrees from the University of Florida, where she was a member of the Alpha Delta Pi sorority. She is proud to be a member of Women in Insurance and Financial Services and dedicates much of her time and energy to the local and national Crohn’s and Colitis Foundation of America, where she serves on the Board of Trustees for the state of Florida. She services the community by speaking at education events, and mentoring patients and their families. Jamie resides in Orlando, FL. She enjoys reading, traveling, and spending time with her family and friends.